The Center for Puerto Rican Studies launched Rebuild Puerto Rico as an online information clearinghouse for the stateside Puerto Rican community and other allies to support disaster relief and recovery efforts. There is a need to connect Puerto Rico’s civic sector with Puerto Ricans in the diaspora that want to contribute in the rebuilding phase of Puerto Rico. 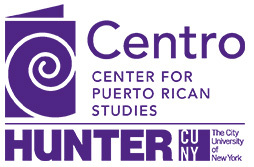 As part of these efforts Centro has created a series of online tools available to advocates and other professionals engaged with recovery and rebuilding efforts in Puerto Rico.